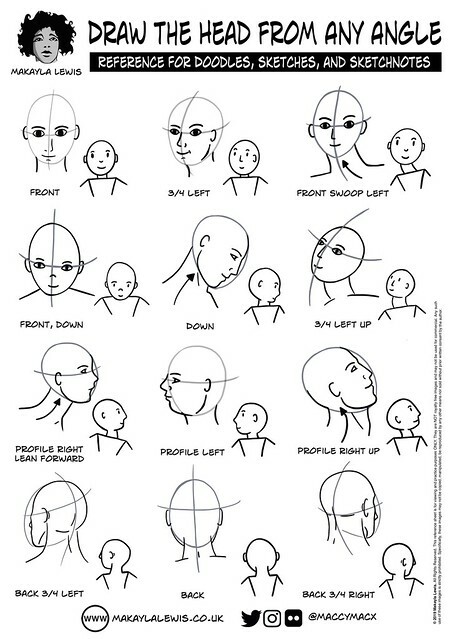 Draw The Head From Any Angle: Reference for Doodles, Sketches, and Sketchnotes | Flickr - Photo Sharing! Makayla's 'Draw The Head From Any Angle: Reference for Doodles, Sketches, and Sketchnotes' is an A4 PDF reference printable created for SketchnoteLDN in the UK, upon sharing its creation on social media a few people asked for it to be publicly released, ENJOY! LauraGilchristEdu, Sheila Yoshikawa, and 1 other people added this photo to their favorites.